Welcome to the SDCP Map Room! Pima County makes extensive use of Geographical Information System (GIS). 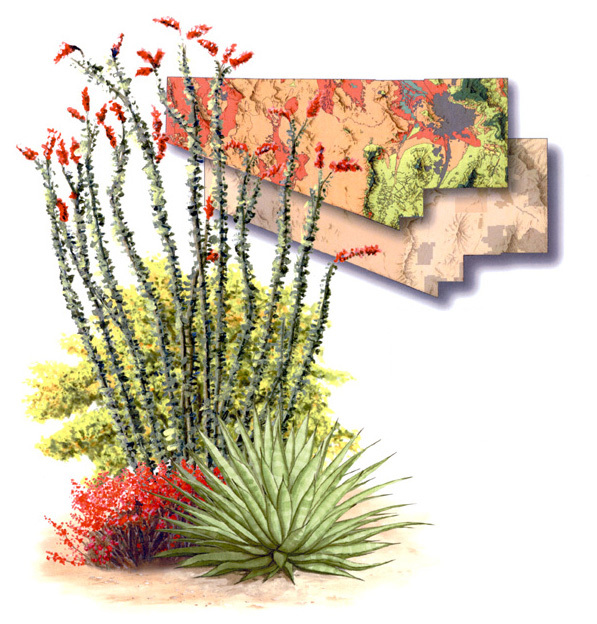 For the Sonoran Desert Conservation Plan, this was an important technology for assembling the extensive existing data, both digital and non-digital, identifying critical gaps in the data and potential remedies, and providing a means for analyzing the information on biological and physical resources over the six million acre study area. SDCP Mapguide displays many of the natural resource GIS data layers not currently available through PimaMaps. You can use either to make your own overlays on aerial photos, line maps, or USGS topography. View all maps via the links or tabs below. Search metadata here.